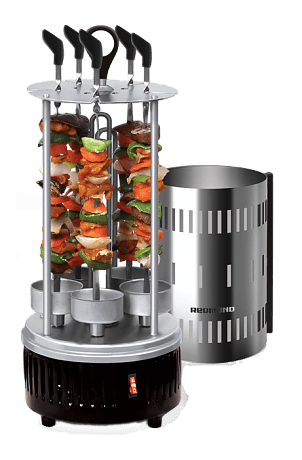 Electric Grill Buying Guide - How to Choose? Nothing says summer like barbecue aroma curling up from the grill! Now you can gather up with the family or invite friends over for a weekend BBQ even in wintertime and throughout any season. Electric grills are perfect for homes with or without a backyard, apartments, or balconies big and small. It can be used indoors as you would the outdoor type, but you never have to use fire nor messy charcoal. There's no worrying about refilling a propane tank nor breaking any local law. Figuring out the right electric grill to suit your needs is the first step in creating the best barbecued meats. Follow this buying guide of important questions to ask and considerations to streamline your choices down to the grill that's perfect for you. What Size Of Electric Grill Should You Choose? Countertop models are relatively small, which are ideal for small families but not really for hosting cookouts. The larger the cooking surface, the more meat you can grill at a time. Take into account how many people you usually cook for, how much cooking area and storage space you have. How High Will An Electric Grill Heat Up? Heat outputs vary with some models that yield well over 350 F, hot enough to cook most types of food. Some electric grills are built with temperature settings that can get as hot as 400 to 600 F. This gives you more control over cooking and helps in determining proper cook times. What Will The Best Electric Grill Look Like? Contemporary electric grills arrive in many attractive colors to match every kitchen theme. The best brands combine looks and ease of use to fit the modern lifestyle. It holds the functionality to consistently deliver great barbecues in a well-constructed unit of excellent durability. What are The Types and Features of Electric Grills? Among the several types of indoor grills, perhaps the most famous type is the clamshell style. Top and bottom surfaces are designed to sandwich food, thus eliminating the need to flip during grilling. It cuts back a significant amount of cooking time, but requires a bit more effort to cleanup. Some units resemble a traditional griddle with ridges which are typically used on a stovetop or a burner, where grilling can get pretty messy! An electric griddle has its own heating source so you can grill just about anywhere you want, so long as there's a power outlet. However, the glass lid tends to cause meat to steam in their own juices rather than completely grill, which can lead to altered flavors. The best one so far? The vertical barbecue grill. It's the easiest to use and most efficient grill in producing the healthiest foods. There'll be no toppling and turning yet food is evenly cooked on side to side with uniform heat distribution. Simply string barbecue meat, sausages, vegetables, chicken or fish on the axes and pins and let it grill with the peace of mind that food will never be burnt! Appearance, durability and overall performance delivers a great grilling experience on top of mouthwatering BBQ any time of year! Want more than BBQ? Satisfy cravings of juicy steak, tender fish, crisp and golden chicken, or a beautifully browned pastry with the no-oil technology of a REDMOND air grill.